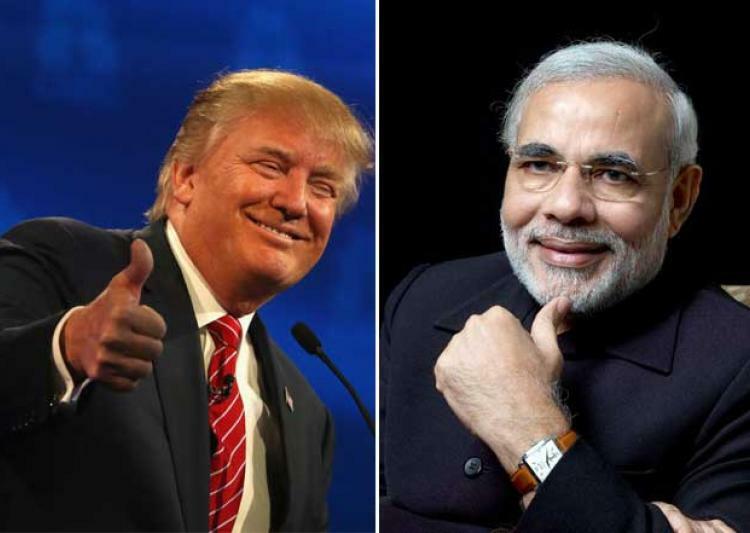 Trump-Modi dinner: What’s cooking, what’s on menu? It promises to be a gourmet meal as the leaders of the world’s oldest and largest democracies have their first full-spectrum meeting and dinner in Washington DC on June 26. 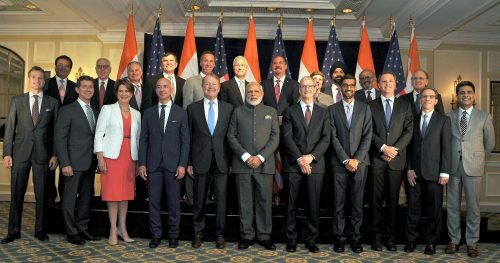 The buzz and hype surrounding India’s Prime Minister Narendra Modi’s fifth visit to the US is relatively subdued – the carnival-like festive atmosphere and feverish energy that marked his first visit to the US, with his rock-star like show at Madison Square Garden, in September 2014 seems a distant echo, but even though the horizon of expectations has shrunk there are still some appetising dishes on the table which both sides can pick and choose to suit their taste and some serious business to transact. US President Donald Trump has made many positive remarks about India, has made several complaints against the Chinese policies and has shown his determination to crush Islamic extremism. Since about 20 percent of organisations, designated as terrorist organisations by the US, happen to be located in the Af-Pak region, the US-Pakistan relations cannot be trouble-free. The strategic scenario in the region provides a fertile ground for India-US ties to flourish, but Washington and New Delhi need to tread carefully, keeping in mind each other’s concerns. Current signals indicate that the Indo-US ties under the Trump Administration will face no major difficulties in further boosting the emerging strategic partnership between the two countries. But it is better to wait and watch in view of the paradigm change, expected in the ways the US engages the world, under the Trump Presidency. Modi-Trump meeting: Will US walk the talk on Pakistan terror? India’s Prime Minister Narendra Modi’s meeting with US President Donald Trump on June 26 is one of the most keenly awaited events in the diplomatic calendars of the world’s biggest democracy and its most powerful one. 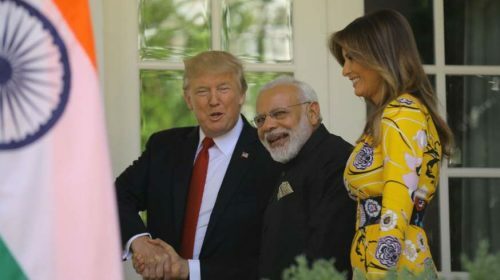 Compared to Mr Modi’s first US visit as prime minister in 2014, that included an impressive rally at Madison Square Garden with legions of cheering Indian-Americans in attendance, this time round, the White House meeting takes centre stage. 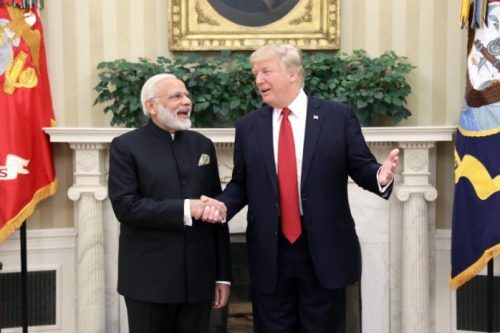 This suggests that the Indian leader wants to focus more on establishing a firm foundation for New Delhi to work with the relatively new US administration. During his two-day sojourn in the US, Mr Modi is expected to discuss a wide range of bilateral issues — from economic and defence cooperation to Indo-Pakistan relations and immigration. But of especial significance, perhaps, would be the talks on regional security and terrorism. Both Washington and New Delhi have their own reasons for ensuring continued stability in South and Central Asia. While the two sides have often reiterated the need to espouse a zero-tolerance stance towards terrorism, Mr Modi would do well to impress upon the US president that no discussion on counter-terrorism would be meaningful without considering the role of Pakistan in supporting terror groups.